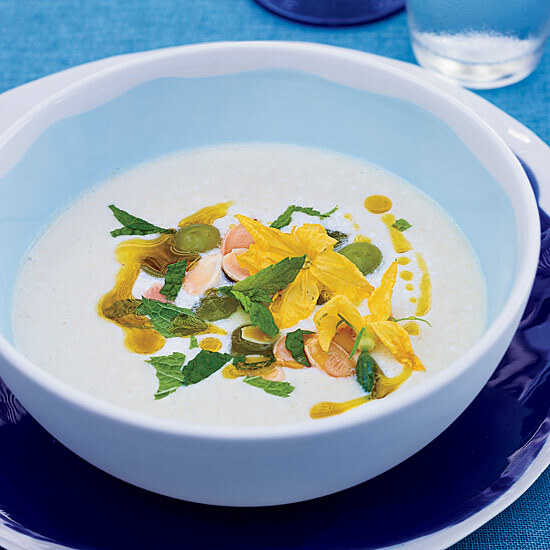 This traditional Spanish dish, along with paella and sangria, is festive and perfect for summer parties and barbecues. 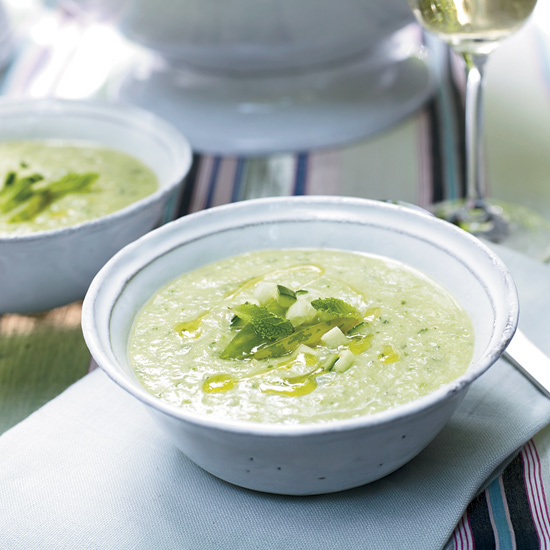 Served cold, this uncooked soup is easy to make and can be served as an appetizer or as a main course. 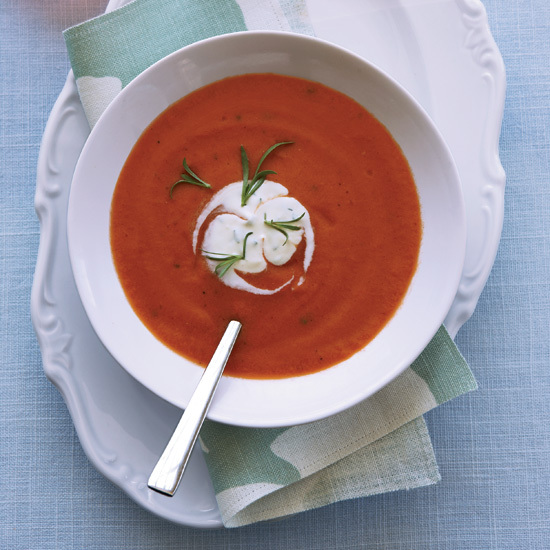 Fresh summer vegetables such as tomatoes, cucumbers and green peppers give this soup color and flavor while the vinegar provides the tanginess. 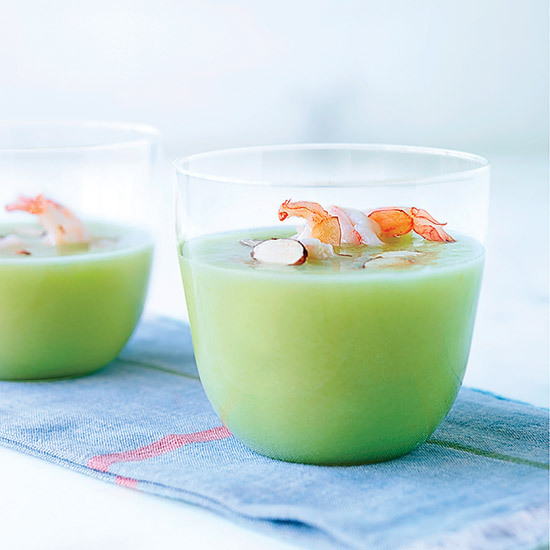 You can even in some shrimp to make a great main course dish. 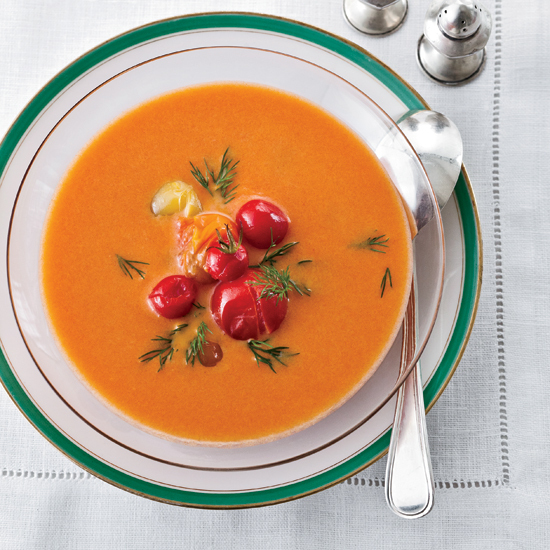 Scroll though for a few of our favorite recipes of this summer soup. 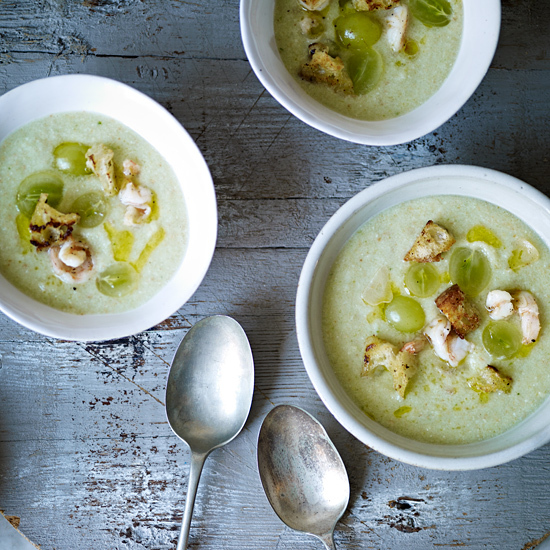 Teresa Barrenechea makes this chunky version of Spain's most popular soup. 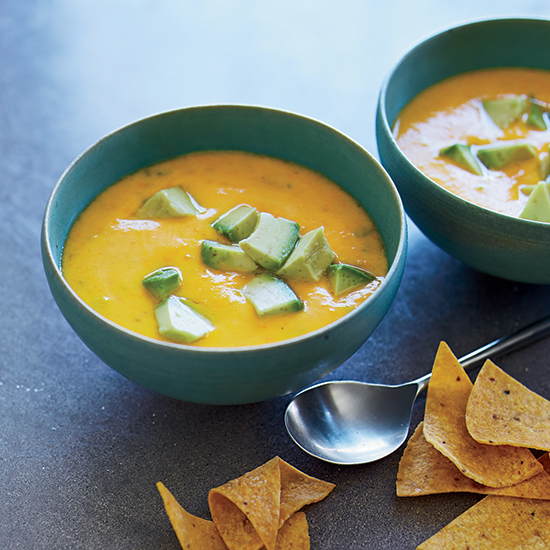 If you prefer a smoother variety, puree it and pass it through a food mill or coarse sieve—it will be easier to pour out of a thermos. 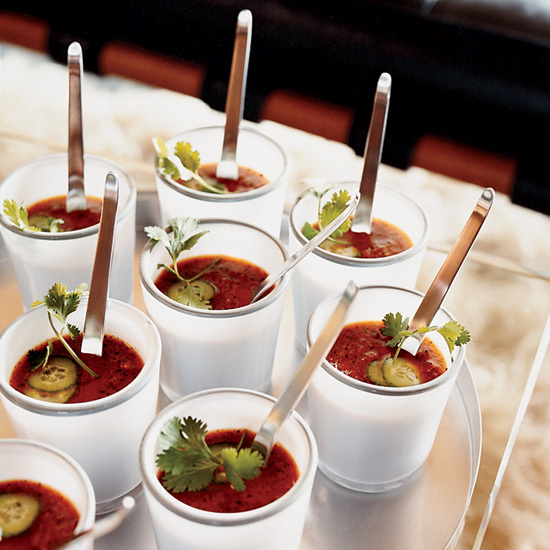 Before the Spanish arrived in Mexico in the 1500s, they had never even seen a tomato, much less cooked with one. 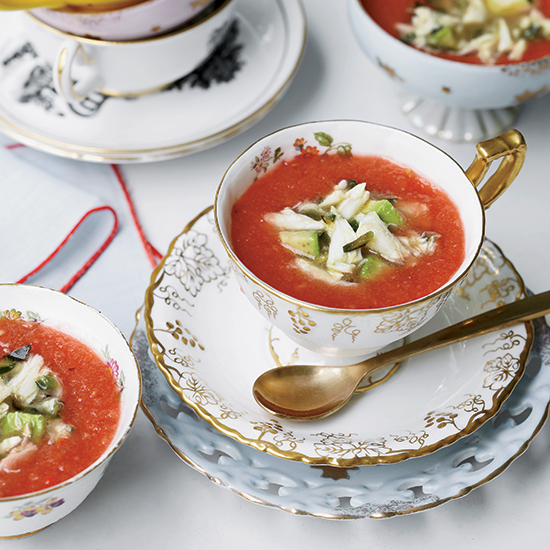 The Old Country gazpacho got its color from cucumbers, and once you've tried it you'll understand why the green version is still preferred over the red in some quarters. 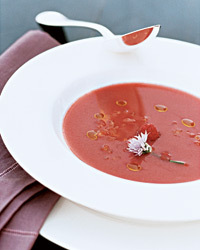 If you're using this uncooked soup as a first course instead of a main dish, it will serve six. 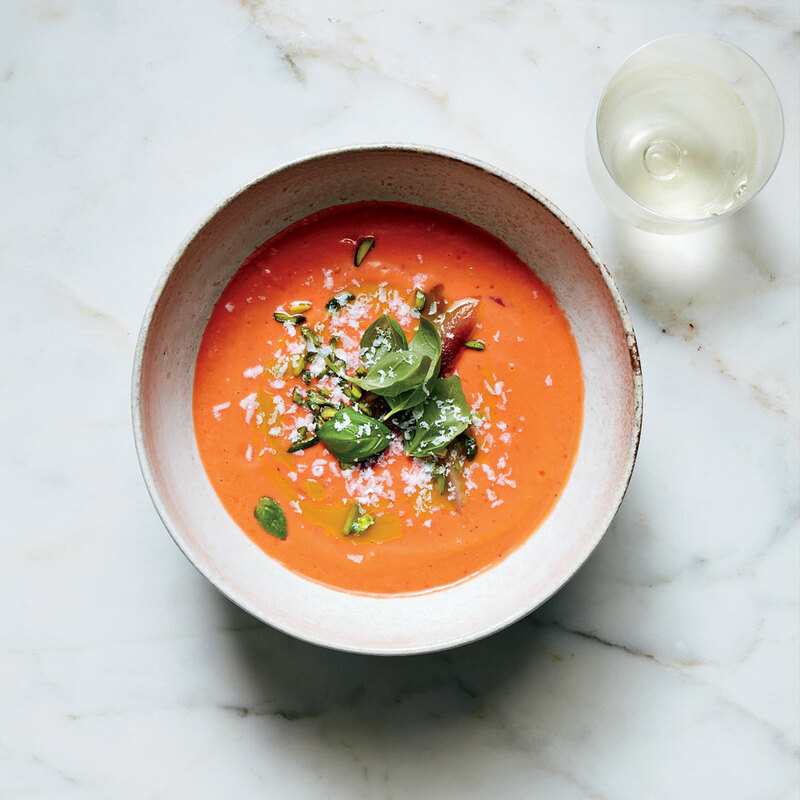 Teacher, host of TV's Barbecue University and author of 26 cookbooks (including Indoor Grilling and BBQ USA), Steven Raichlen makes this gazpacho by laying the vegetables directly on hot coals (F&W adapted the recipe for a gas grill). 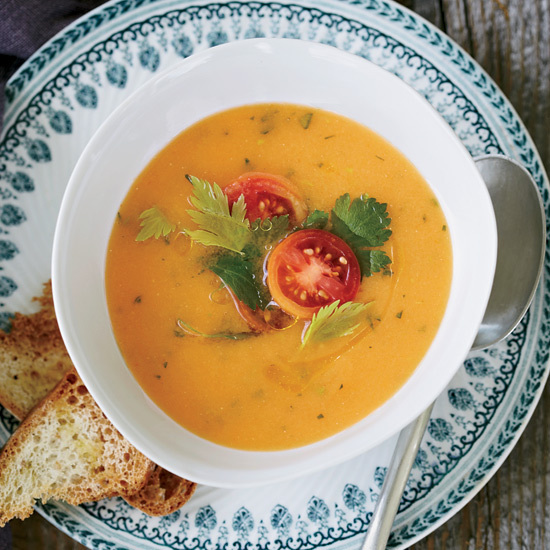 This cooking method imparts a hauntingly smoky flavor to his vibrant soup. 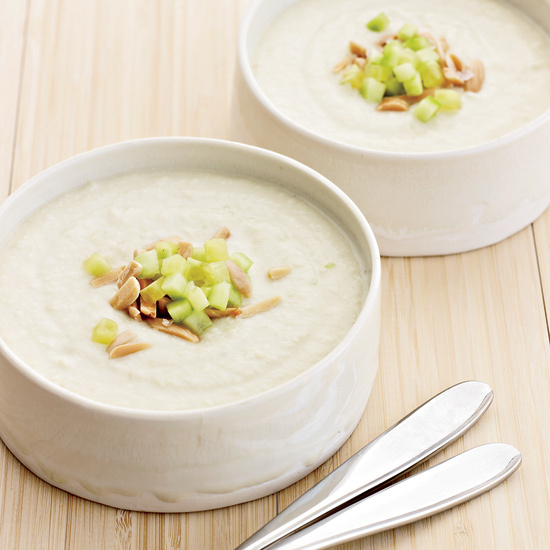 Grapes and cucumbers form a delicately sweet and refreshing soup; adding shrimp makes this into a lovely, light meal. 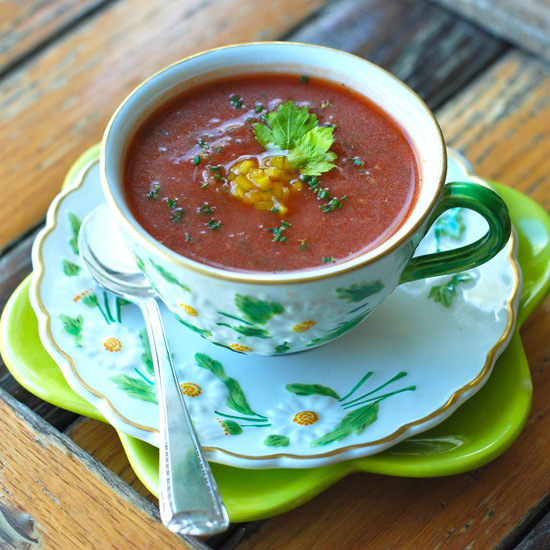 This fresh, tangy, yellow-tomato gazpacho comes together quickly in the blender. 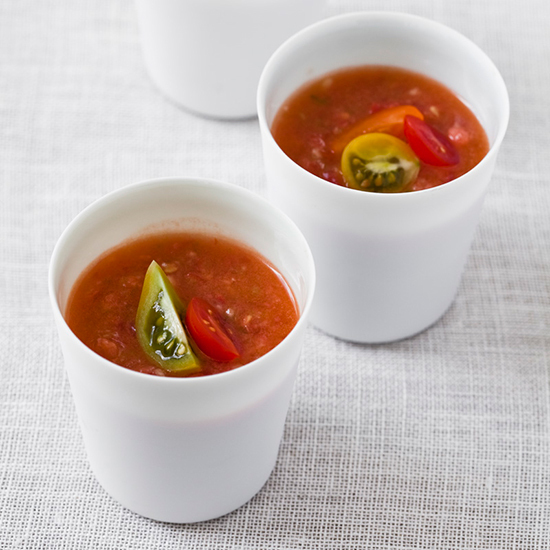 A jalapeno adds subtle heat.